Enter the Hermetic room You're invited to enter a room and leave your normal life at the door. Inside, and now free to be as you wish you'll experience a magical ride. 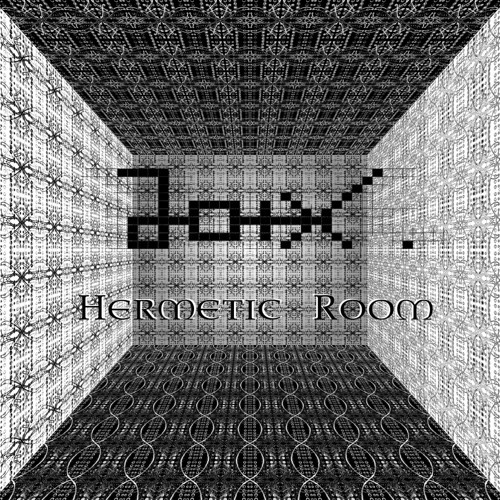 This is Hermetic Room, a deep techno album handmade for your enjoyment by German analog music maker, Joix. Producing techno since 1996, this is his second major release and is homage to the late and great French artist and graphic novelist Jean Giraud aka Moebius whose work greatly influenced Joix's music. Moebius combined powerful universal symbols with esoteric and fantasy illustrations, such as his drawings in the graphic novel Garage Hermétique which was partly inspired by the occult book Kybalion and its "Seven Hermetic Principles". "With his comics, Moebius had huge freedom to express himself and his ideas," Joix says. "This is possible not only with painting, but also with music. Joix began his journey into electronic music as many do - a dancer losing himself on the dance floor, in his case in Frankfurt's famous Omen Club. The sound swept him away - he's been making techno ever since. In his sealed studio in Mannheim, Germany, he created all the tracks on Hermetic Room with an analog modular synthesizer, analog drum machines, Ableton Live for arrangement and recording, a Japanese gong and a didgeridoo. As a live act performer, Joix has played across Germany, in Japan and wherever experimental, underground electronic music gets center stage. His ambition as a techno producer and performer is to open a mystical journey for those dancing. For dancers to have this experience of music, the right conditions must be met. A Hermetic Room meets these conditions. Inside a sealed room, the music is clearer and more resonant and people - beyond the normal rules of society - have no fear to dance and be as they like. "The room is formed from three dimensions of our universe, but another dimension is time," Joix says. "Music is time. It needs time and a sacred space to unfold, to tell its story." Hermetic Room is ready to unfold for you.